We can create an impressive bespoke brownie gift to suit almost any budget or specification, from miniature brownie bites or large selection boxes, to a hand-piped personalised giant brownie! Whether you’re trying to impress a prospective client or simply saying thank you to a hard working team our brownies are guaranteed to go down a treat, so get in touch today to chat choc! 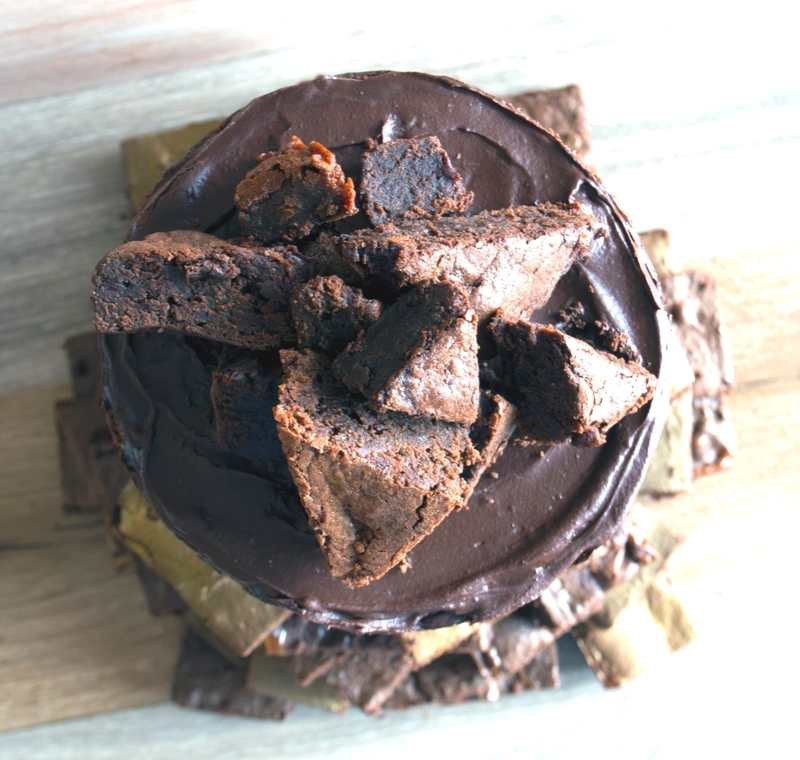 Brownies make a fabulous change from the traditional wedding and birthday fodder, and we can create a bespoke product to suit your event, personal tastes or dietary needs. Our brownie bites are excellent party or wedding favours and can be made to tie in with your theme. Bites are available in single, duo, 4 piece boxes or in clear cello bags, ribonned and finished by us. Prices are from £2 per unit, but we’re happy to just provide the brownies (boxed or unboxed) for you to finish yourself! 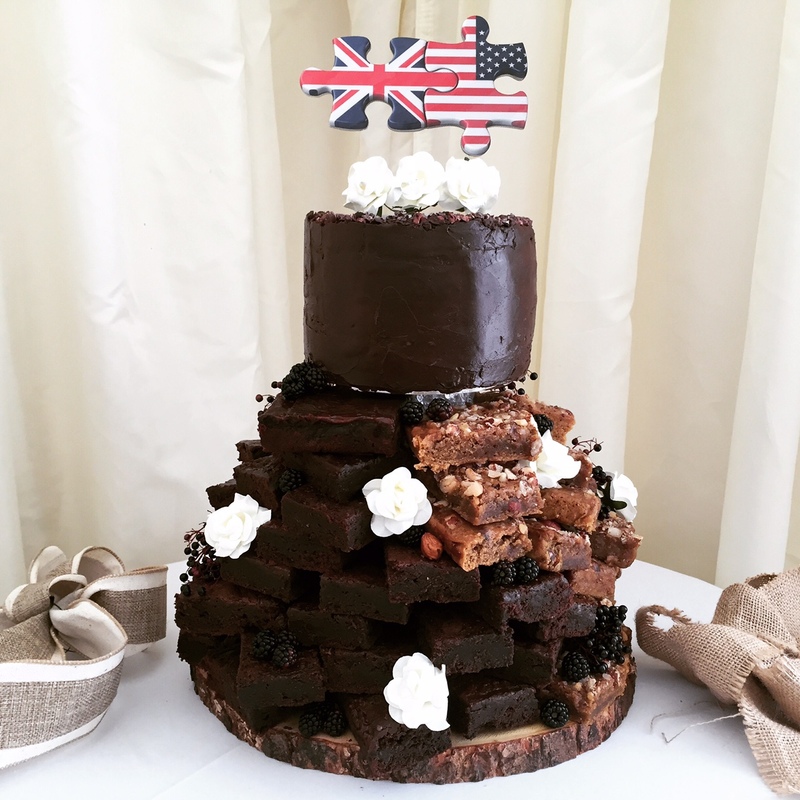 Wow your guests with our Brownie Stack and/or Tower Cake as an awesome alternative to a wedding or birthday cake! The Stack and Tower Cakes are both available separately, or you can hire one of our stands to display them together. 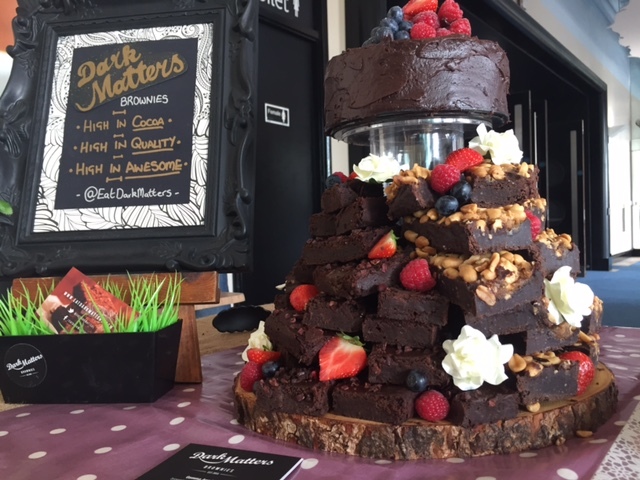 We can provide you with a bespoke selection for your very ow n Brownie Buffet, or even hire our market stall to serve your guests as a pop-up Brownie Bar!